Getting traffic to your site is easy. The major search engines and ad networks are happy to take your money. Qualified shoppers are another story. A good digital marketing strategy starts with understanding your customers and then constructing a campaign that is not built on volume of traffic, but real conversions. There are many types digital campaigns that can bring you ROI. If your media budget is not bringing you real sales, it is not successful. A popular online reseller always had an enterprise-level budget for online marketing as it was key to driving customers to their store. However, they hoped to get more for their money. Medium to enterprise e-commerce companies are faced with tremendous and ever-changing competition marketing online. Your competitors are smart, and like you, they’re relentless about being on top. This makes e-commerce tricky – not only because the market landscape is different from day to day, but also because it is far too easy to spend dollars inefficiently. PeytonDigital was brought in to evaluate the current campaign and site analytics, rebuild it with new innovative ideas, and lower CPA. The campaign structure was split into disparate groups, including brand, product ads, and generic terms. Other innovative strategies were built to expand client brand engagement, including a targeted coupon lead acquisition campaign. Immediately, areas of wasted spend were identified and blocked. This brought the CPA down and boosted overall sales. In addition, PeytonDigital pushed the spend just to the point of saturation on Google AdWords and Bing, plus expanded its success across different third party networks, search engines, and other digital marketing methods that were not previously considered. 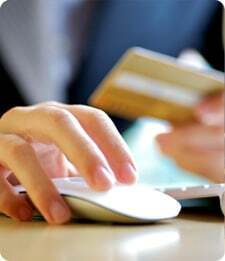 Contact us today to learn more about optimizing your eCommerce business.